Apps are eating the world. It doesn’t matter what sort of industry you’re in—your customers expect an engaging and modern app experience, and it’ll take a modern approach of application development in order to deliver it. 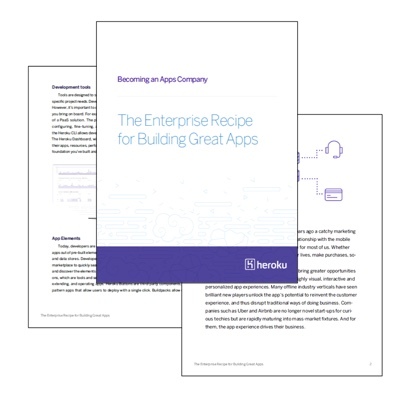 Transform your company into an Apps company and start building better apps. If your company doesn’t have an “app for that,” then your customers are going to use your competitor’s app instead. Get the white paper today.